Apacheonline are offering a 15% Black Friday Discount Code, running until midnight on Cyber Monday, to all our loyal customers. We are starting early with our Black Friday Discount Code and Special offers and have some real treats for you. Not only do we have some amazing Black Friday Sale Offers, where you can save 50% Off selected items, but we are also offering a fantastic Discount Code for all New Season Styles. 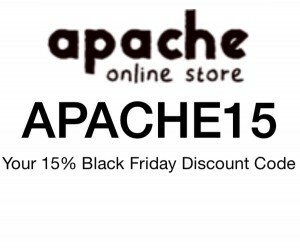 Simply enter APACHE15 at the checkout of Apacheonline to receive 15% Off All New Season Styles! 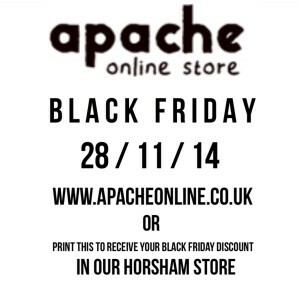 Here are now a couple examples of the amazing Black Friday Deals we have at Apacheonline. Remember these are 50% Discounts on selected items, and when they’ve gone, they’ve gone, so don’t miss out! 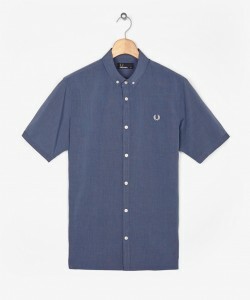 This lovely Fred Perry M3284 End on End Shirt is the first example of our amazing savings. Originally priced at £60.00, you can save a whopping 50% and grab this for £30.00 whilst stocks last. 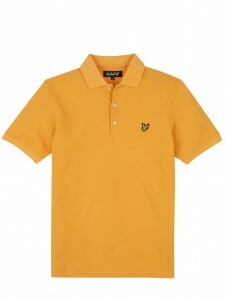 Next up we have this stunning Lyle and Scott SP001V02 Plain Pique Polo Shirt in the vibrant Soft Orange colour way. Was Priced at £50.00 now only £25.00 in our Black Friday Sale Event!